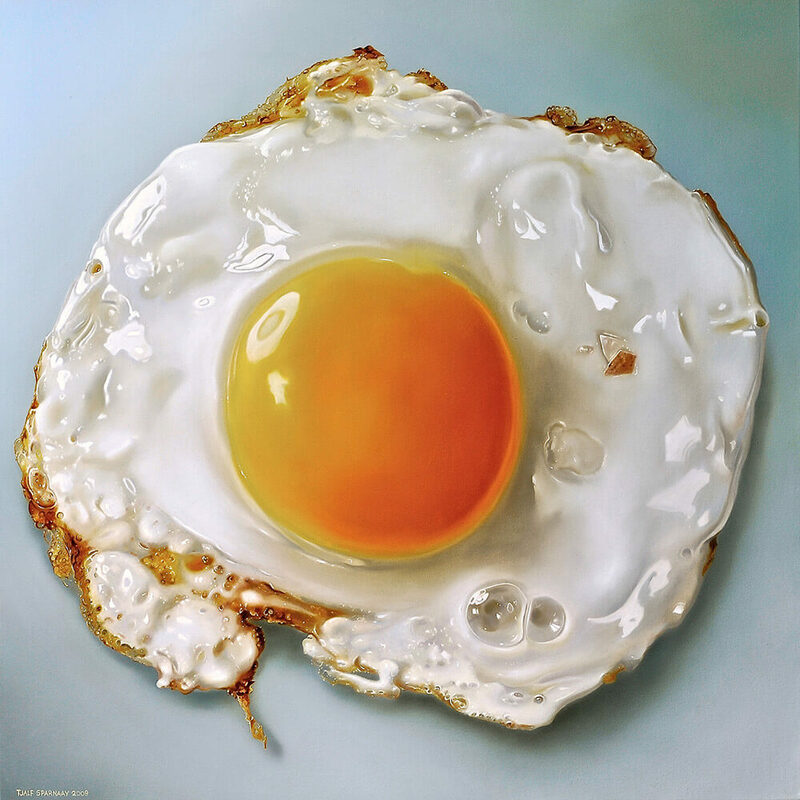 We first stumbled across Tjalf Sparnaay’s work when we found (what we thought was) a picture of a fried egg. One of our designers commented that the lighting was well-done, especially for a photograph of an egg. Upon further investigation, we realized that this was in fact not a photograph, but a painting by Sparnaay. 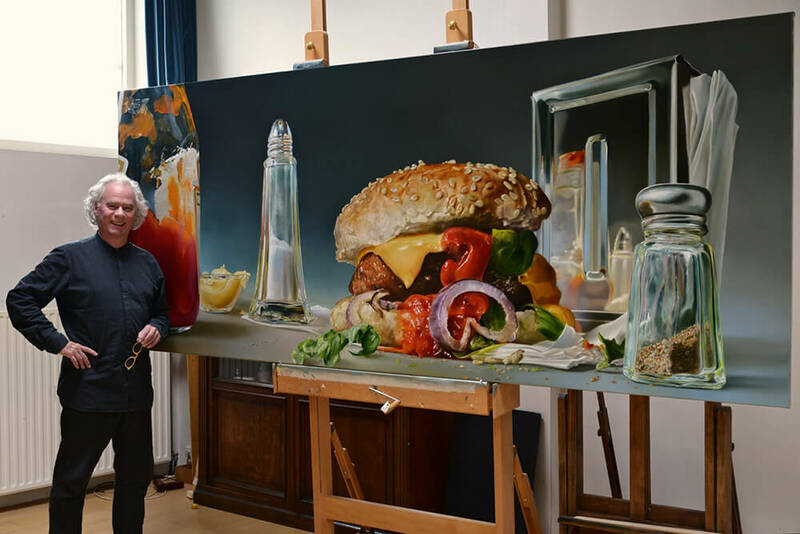 We learned that his up-close paintings of food are widely celebrated and considered an important part of the photorealism movement. 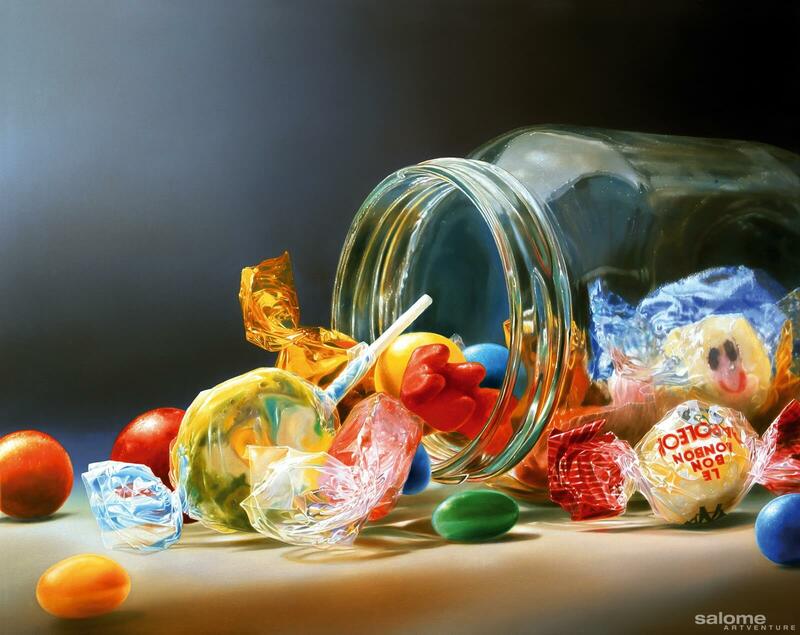 His hyperrealistic paintings will leave your mouth watering in disbelief. Sparnaay started painting in 1987 and has been perfecting his craft ever since. 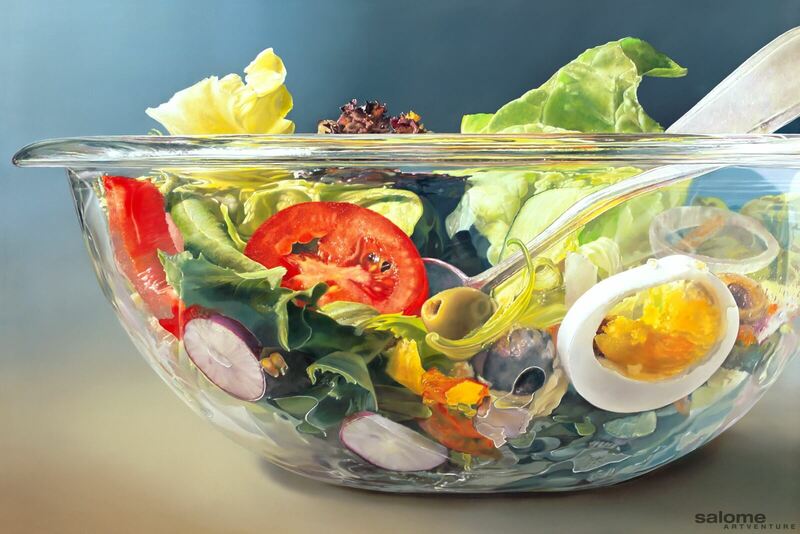 Born in the Netherlands, he specializes in photographs, illustrations, and paintings. Surprisingly, he has not received any formal training in painting. Sparnaay is inspired by Carel Willink, a Dutch painter who also specialized in realism. 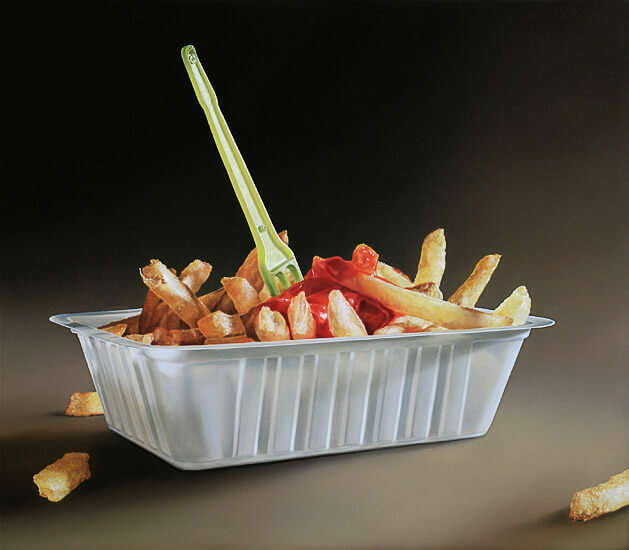 Sparnaay learned hyperrealism by practicing and observing other megarealism artists like Ralph Goings and Charles Bell. Sparnaay’s work is exhibited across the globe. 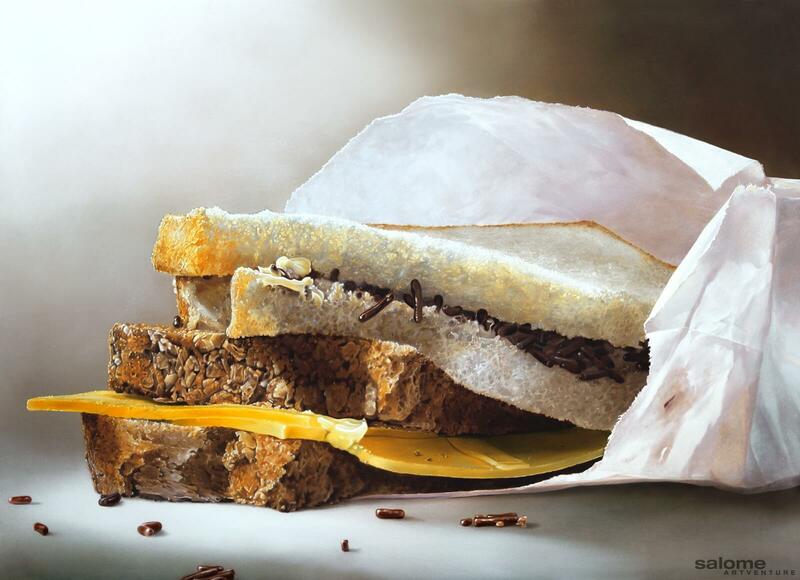 You can find and buy his original work at the Bernarducci Meisel Gallery in New York, the Mark Peet Visser Gallery in the Netherlands, and the PlusOne Gallery in London. He has had 11 solo exhibitions since he began in 1987. 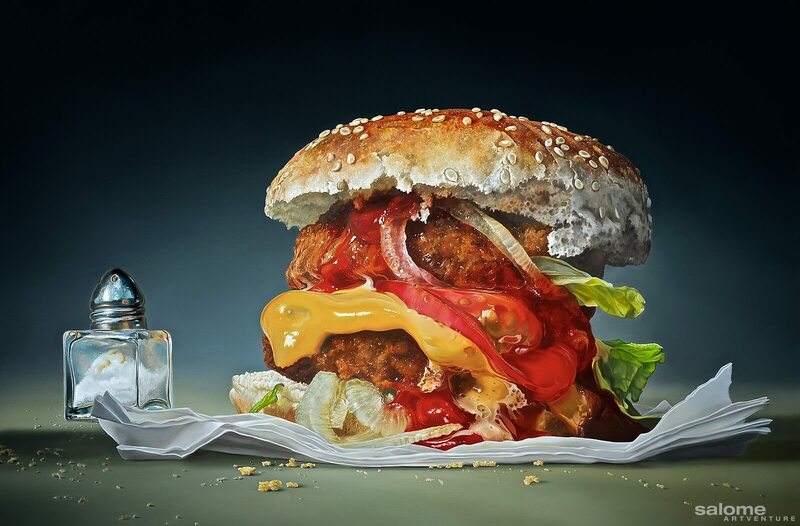 One of his hyperrealism paintings can cost over $55,000. 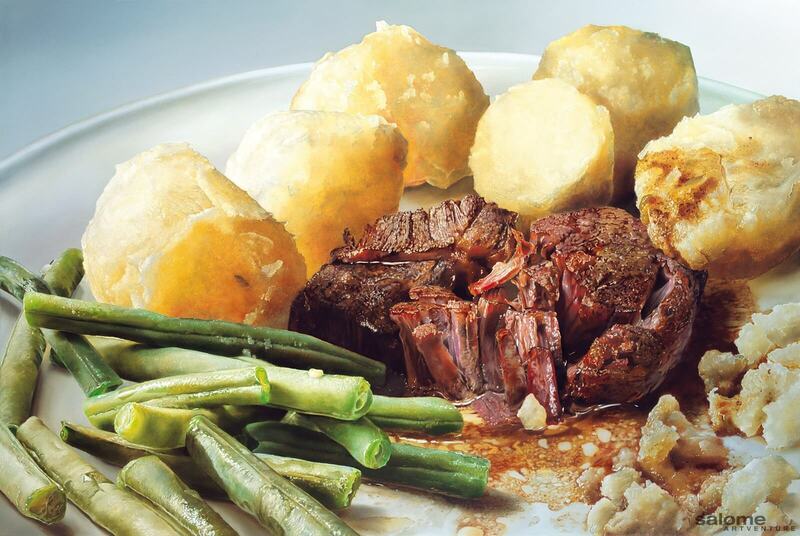 Sparnaay beautiful and mouthwatering paintings are praised by art critics and foodies alike. 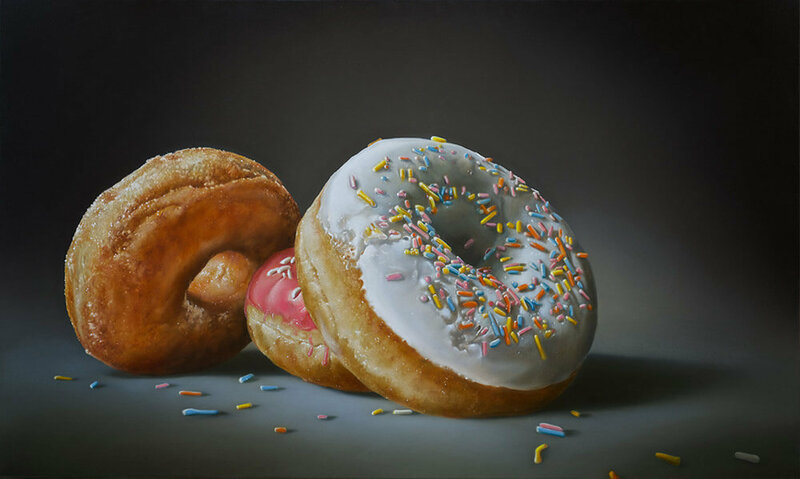 The gigantic paintings of our favorite indulgences take hyperrealism to a whole new level. Is it time for lunch yet?